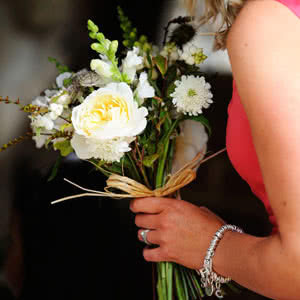 We believe that everyone, whatever their budget, can have wonderful wedding flowers. We can keep our prices down when you order online. 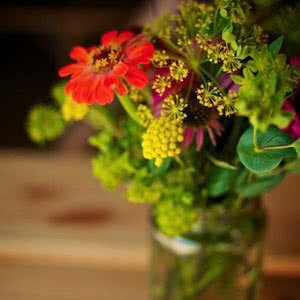 If you are on a tight budget or feeling creative, bring your friends and family to help you pick-your-own wedding flowers. Our flowers are available from April to October. We recommend that you order your flowers early, to avoid disappointment. The images below are merely illustrative: once you have clicked to select an item you will be able to choose a colour scheme for each and put ‘special requests’ in the notes section, eg. favourite flowers (see calendar below) or key words. You will then need to choose a collection date on the checkout page. 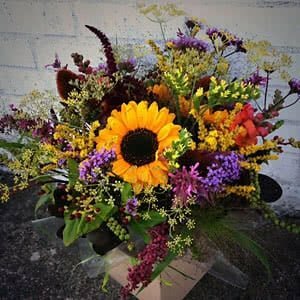 Please note our budget wedding flowers are collection only from our flower plot at Linton near Maidstone in Kent and do not include a personal consultation. We will do our best to meet ‘special requests’ but this cannot be guaranteed. The Blooming Green flower calendar shows what we hope will be growing each month. This can vary depending on the season. View basket “Wedding Cake Flowers” has been added to your basket.